If youve been holding back on buying a new pickup truck consider this: March 2014 may be the start of something big, as in incentives, and on a wide variety of vehicles. 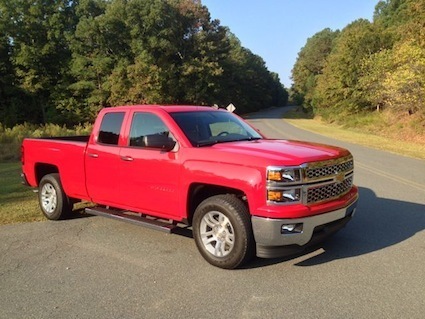 Big March 2014 incentives for the Chevrolet Silverado. General Motors has thrown the gauntlet down as it intends to make March a Chevy Truck Month in a bid to reduce bloated inventories. Chevrolets incentives are expected to extend to other Chevrolet products and will most likely cause competitors to respond in kind. Deep discounting got GM, Ford and Chrysler in trouble before the last recession, leading two of the companies to declare bankruptcy, while the third avoided a similar fate by hocking its assets in advance of the historic downturn. Without a doubt, all three domestic-based automakers are in a much stronger position in 2014 than they were in 2009, but the stepped-up discounting will eat into profits. Chevrolet Truck Month spans from March 1 through March 31, enabling Silverado truck buyers to snap up a new pickup truck at supplier pricing. That means you can buy a truck for the dealer invoice price plus the destination charge and a $150 program fee reports Automotive News. Essentially, youll see at least $4,000 to $5,000 shaved off of the sticker price, perhaps much more for super duty models. 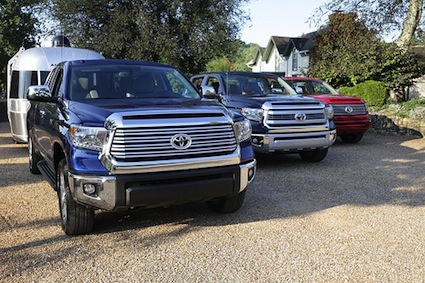 The Toyota Tundra seeks its own place in a competitive segment. The Chevrolet incentives come as GM wrestles with a segment that is increasingly tilted toward the Ford F-150. The Ford F-150 outsells the GMC Sierra and Chevrolet Silverado combined, leading GMs big pickups by about 100,000 units annually. Both GM trucks were all new for 2014 while Ford is on its last year with the current generation model. Sales for the GM trucks are not meeting expectations while Ford continues to succeed with its six-year-old model. GM is also faced with the prospect of falling further behind when the 2015 Ford F-150 is released later this year. The new Ford model embraces lightweighting, utilizing aluminum to drop up to 700 pounds without losing its overall strength. That will give Ford a five-year jump on GM which just this past week made its own commitment to vehicle lightweighting, an effort that wont kick in before 2019 when newly redesigned Silverado and Sierra pickup trucks hit the market. Vehicle lightweighting could tilt the market further for Ford. It isnt just truck sales that have GM and other manufacturers worried: new vehicle sales are not growing nearly as fast this year as they have in the past five years. Indeed, Jan. 2014 sales fell by 3.1 percent over Jan. 2013, with GMs sales dropping by nearly 12 percent. Feb. 2014 sales are expected to come in flat at best as bad weather across much of the eastern half of the US, effectively offsetting the usual Presidents Day incentives. Manufacturers are also coming to terms with their rosy sales projections, but they aren’t slashing production, at least not yet. Instead, the pricing discipline of the past five years seems threatened a boon for consumers, but a bane for company profits. GM intends to protect its large pickup truck market share even as demand slows and as it readies a pair of midsize trucks to supplement its two truck lines. Expect that Toyota with its Tundra and Nissan with its Titan will also be discounted. Sales of the Ram 1500 remain strong, but Fiat Chrysler may respond if market share is threatened. 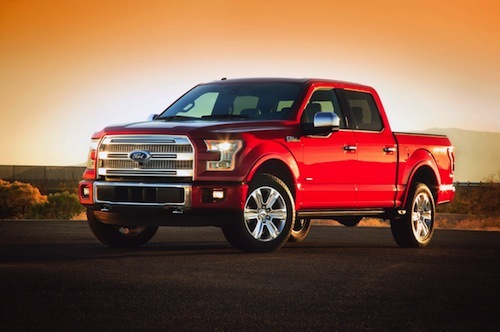 Lastly, Ford wont let its sales slip even as a lighter and more efficient F-150 is prepared for the market.